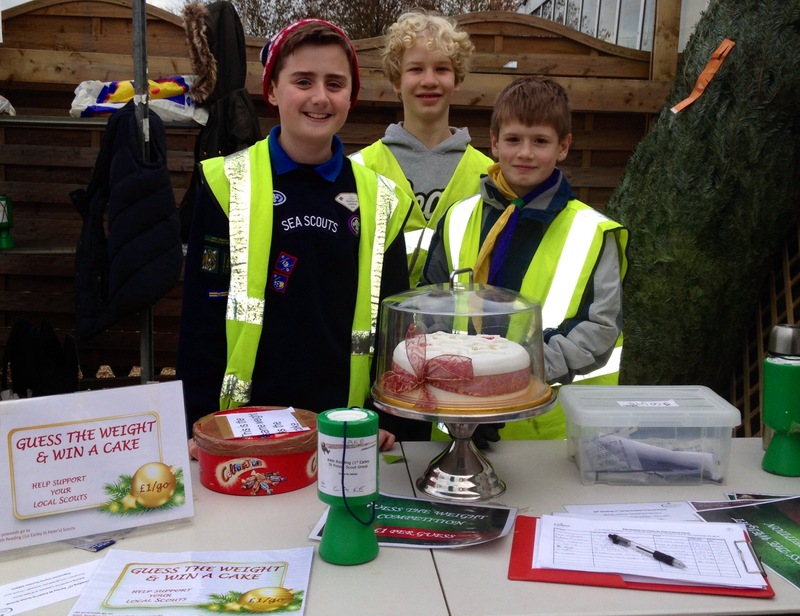 84th Reading Scouts, Sea Scouts and Cubs were very busy in December helping shoppers at the Winnersh Garden Centre and raised over £2400 to help fund their activities in 2014. Group Scout Leader Jenny Miller said “Cubs, Scouts, Sea Scouts and Explorer Scouts carried Christmas trees to shoppers’ cars on three Christmas weekends. We are very grateful to everyone who supported our fundraising and we’d especially like to thank County Gardens who gave a very generous donation. 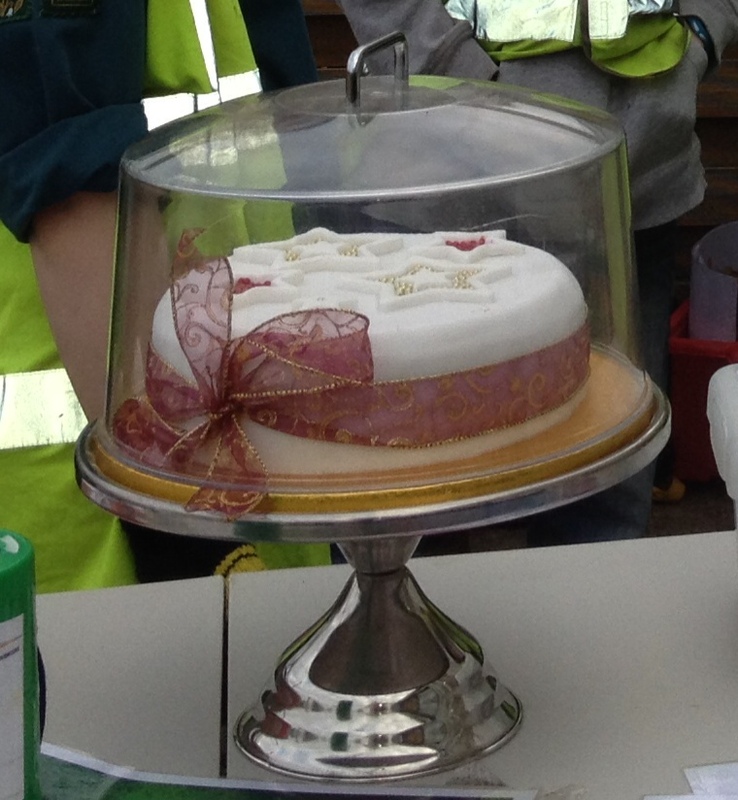 There was also a popular Guess the Weight of the Christmas Cake competition to win a splendid cake made and iced by the Dad of a Scout. 287 people had a try and the winning answer of 3.75kg came from a lady in Winnersh.